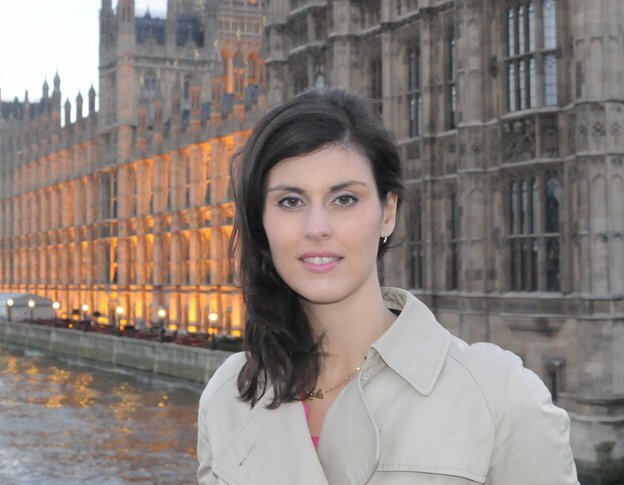 Claire Horn is in the first year of her PhD in Birkbeck’s School of Law. She is researching the legal and ethical implications of artificial wombs. Currently fetal viability in humans (the time at which a foetus can survive outside the mother) happens around 28 weeks. As the original article states, recent developments have pushed this timeline back to 22-23 weeks, but not without continued complications for the baby. The Biobag, designed to mimic the womb, has allowed a lamb foetus inserted at the developmental equivalent of 23 human weeks to survive and grow to healthy viability. While, as the scientists who conducted this research state plainly, this technology is still a long way from being trialed with humans, and while the Biobag is only a partial artificial womb (an artificial womb proper would entail the foetus growing outside the body for the duration of gestation), the popular presses which picked up this news focus on questions emerging from the presumption that an artificial womb is inevitable. Their queries range from what an artificial womb might mean for how we conceive of personhood, to discussions of the ethics of research on foetuses, to debates over what impact such technology might have on the infants who are born through it. In one way, these are very old debates that have echoed throughout science—and science fiction—for centuries. 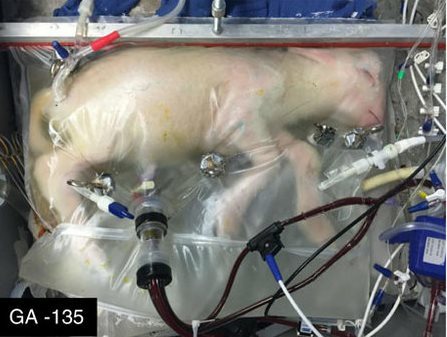 But the artificial womb has never felt closer than it does today, and while it is the work of scientists to proceed with caution, scepticism, and the suspicion that what aids a lamb may not aid a human, it is the work of legal scholars and bioethicists to imagine the possibilities, dangers, and issues inherent if this technology does in fact arrive. My PhD research begins with these premises: that the artificial womb is on its way, that the law is rarely prepared to meet the challenges of new reproductive technologies, and that we should consider the different frameworks available to us ahead of the artificial womb’s arrival. Thinking about the ethics of the artificial womb allows us to consider new ways in which we might approach reproduction, familial relationships, and gender in the future. AAs the primary tool that structures the rules of engagement in our societies, legal frameworks can be introduced or renegotiated in ways that could make space for new social developments. The artificial womb is an opportunity for legal scholars to consider important questions in this regard. With the artificial womb—which could constitute the growth of a foetus separately from the mother even at the earliest stage of development—might we be able to beneficially renegotiate abortion law to protect womens’ bodily autonomy? Could the artificial womb prompt us to reframe legal doctrines of parenthood in ways that offer greater protection to trans and queer parents, and greater equality in co-parenting? Could it render gender entirely irrelevant to parenting roles? A central consideration in my work, and one that I have found absent in many media discussions of the artificial womb is the ways in which reproductive technologies have historically been used to benefit some communities while subjugating others. As Deborah Wilson Lowry writes, “new technologies, when not accompanied by equal access or distribution, can increase existing disparities related to race, class, and gender”. Such inequalities have been starkly demonstrated with regard to the introduction of the pill (which, prior to being marketed as the key to sexual liberation was tested on poor women and women of color, often without their consent), and with regard to surrogacy (only available to those with financial and social means, often outsourced to poor women in the global South), to name just a few examples. 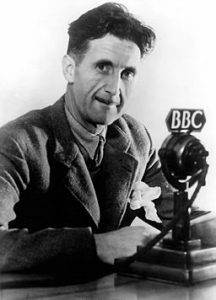 Like these technologies before it, the artificial womb is unlikely to have either purely utopian or purely dystopian results, and it is necessary to be attentive to the dangers it might present for those who have been made vulnerable by these technologies in the past. Research by legal scholars and bioethicists which places marginalized people at the forefront, work which is lead by and consults with diverse groups of women, including women of color, trans women, and women with disabilities, is necessary in advance of the artificial womb’s introduction. Scientists may be rightly skeptical of the speed at which humanities scholars have rushed from the growth of a premature lamb in a Biobag to heralding the growth of human babies outside the body. But proceeding with this future in mind, and carefully considering the ethical dilemmas that it presents, will allow us to interrogate its dangers and consider the best possible legal frameworks and policies to protect women when it arrives. Both campuses offer all the facilities you need, which all Birkbeck students are entitled to use. They are also well-served by public transport, making it easy to get to and from the College. 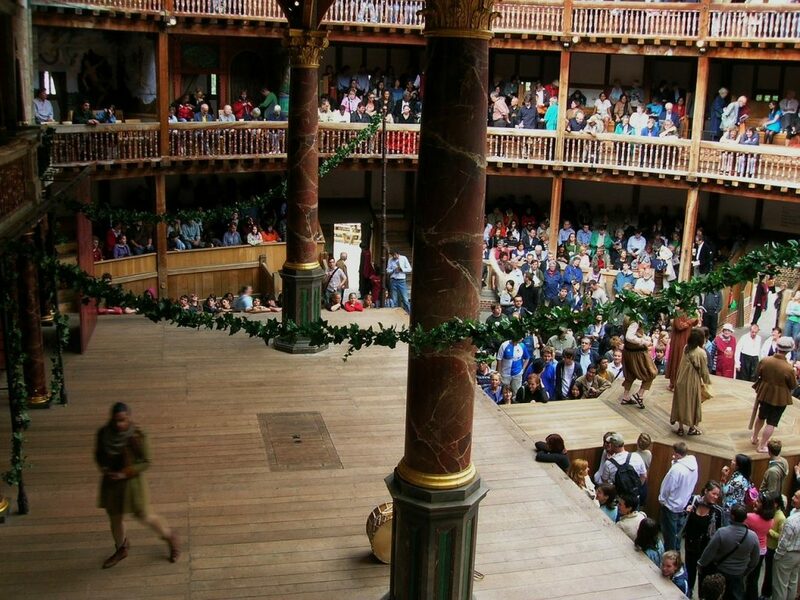 This season research at the Globe focused primarily on the experimental platform that is the Sam Wanamaker Playhouse; the indoor Jacobean theatre archetype. 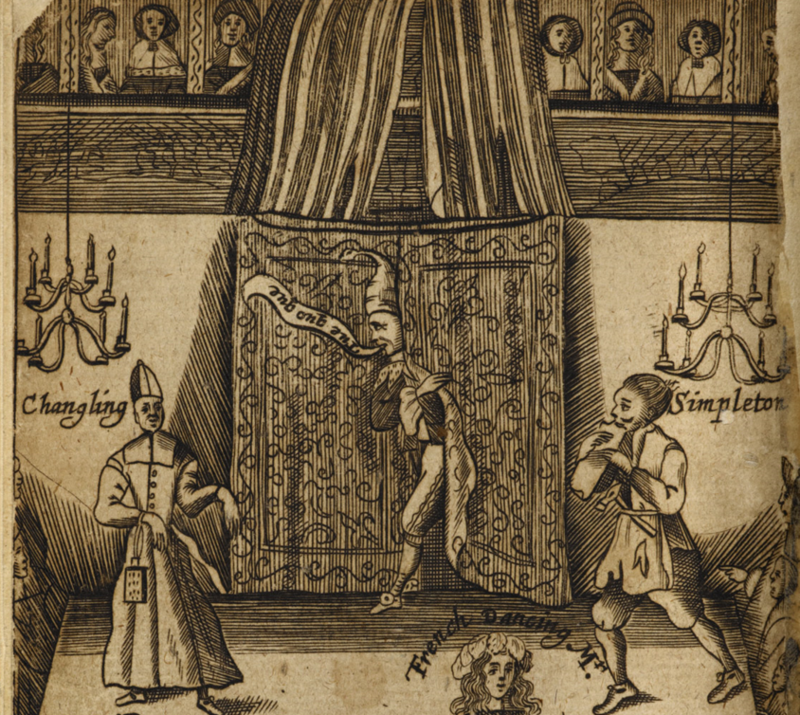 The first few years of productions have provided enormous research potential for the study of early modern indoor theatre practices and audience reception, and the Education department is now collating and analysing the findings. As a research intern at this exciting time, many tasks related to gathering evidence for the Indoor Performance Practice project, coordinated by Dr Will Tosh, for the forthcoming publication Playing Indoors: Staging Early Modern Drama in the Sam Wanamaker Playhouse (Bloomsbury Arden Shakespeare). Identifying the strategic way in which the Globe promoted the four major tragedies of the opening season in the Sam Wanamaker Playhouse – drawing on ideas of Jacobean sensationalism and how extensively candlelight was central to sensual appeal – provided insight into how a modern theatre venue specialises in observing historic practice and attempts to imaginatively recreate experiences of past audiences. Indeed, the candlelit interior is celebrated as its most appealing feature. An indoor Jacobean theatre would have glittered by candlelight, although since critics rarely commented on lighting, there is little contemporary evidence on which to base interpretations of the early modern experience. 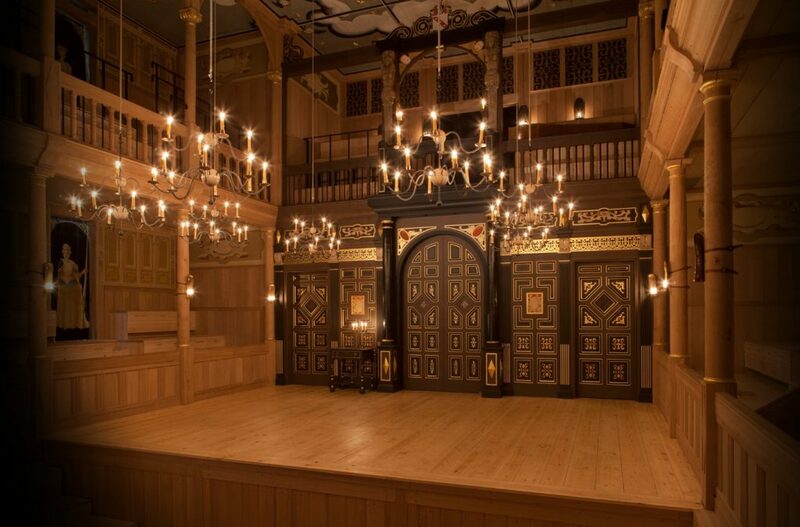 Seeking to emulate early modern indoor playing conditions, the Sam Wanamaker productions incorporate live flame emitted from handheld candlesticks, chandeliers suspended from above the stage, and wall brackets housing individual candles. Investigating the significance of lighting changes on the indoor playhouse experience proved fascinating. Concentrating focus on one tiny aspect of performance illuminated the potential for new research into the text and reception, as well as the space. George Wither, 105, A collection of Emblemes, Ancient and Moderne : Quickened with metricall illustrations, both Morall and divine: And disposed into lotteries, that instruction, and good counsell, may bee furthered by an honest and pleasant recreation (London: 1635), Pennsylvania State University Libraries. The various forms of artificial lighting used at the Sam Wanamaker – such as lanterns, candelabras, torches, window shutters controlling exterior light, under seat electric house lights – and their choreography was gathered from DVD recordings of performances, and from directors’ prompt books and stage management notes held in the Globe’s archive – some of which contained their own chandelier and candle plot, indicative perhaps of the pivotal efficacy of varied light. The unanticipated discovery that each director has a vastly different management style, as evidenced in the highly-detailed prompt books for each production, also emphasises the continued creative attempts to interpret and re-enact the practical aspects of early modern theatre, while simultaneously crafting a unique and unforgettable experience for modern audiences. Francis Quarles, Quarles Emblemes 037_ pgs 072-073, Emblems, divine and moral, together with Hieroglyphicks of the life of man (London: 1635), Sig. 56, Pennsylvania State University Libraries. The Sam Wanamaker production of John Webster’s macabre tragedy, The Duchess of Malfi, was the opening show in the space and the first to experiment extensively with lighting changes. Contrary to what may be perceived as merely ostentatious means of illuminating performance, the nuanced use of candlelight contributed to intricacies within the plot relating to elements such as suspense and character development. Scenes were shaped by changes in lighting ranging from actors blocking the only source of onstage candlelight, casting shadows about, to the raising and lowering of candelabra, and at one point total darkness descended upon the entire theatre as all light was extinguished. 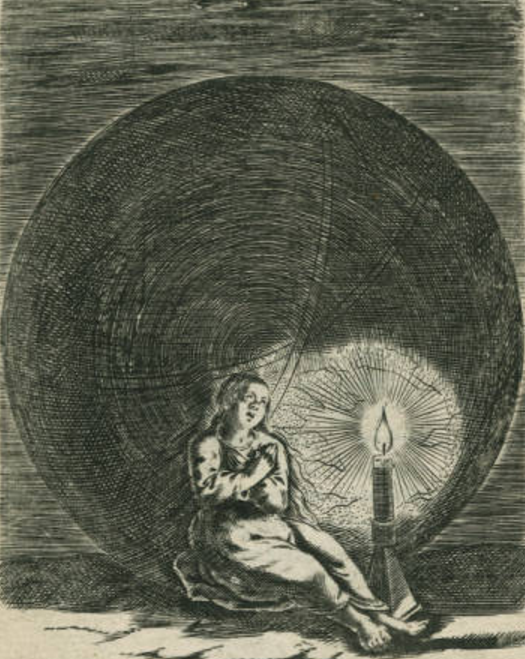 As research progressed, the function of candlelight proved increasingly to be one of the most significant elements contributing to the psychological intimacy of the play. 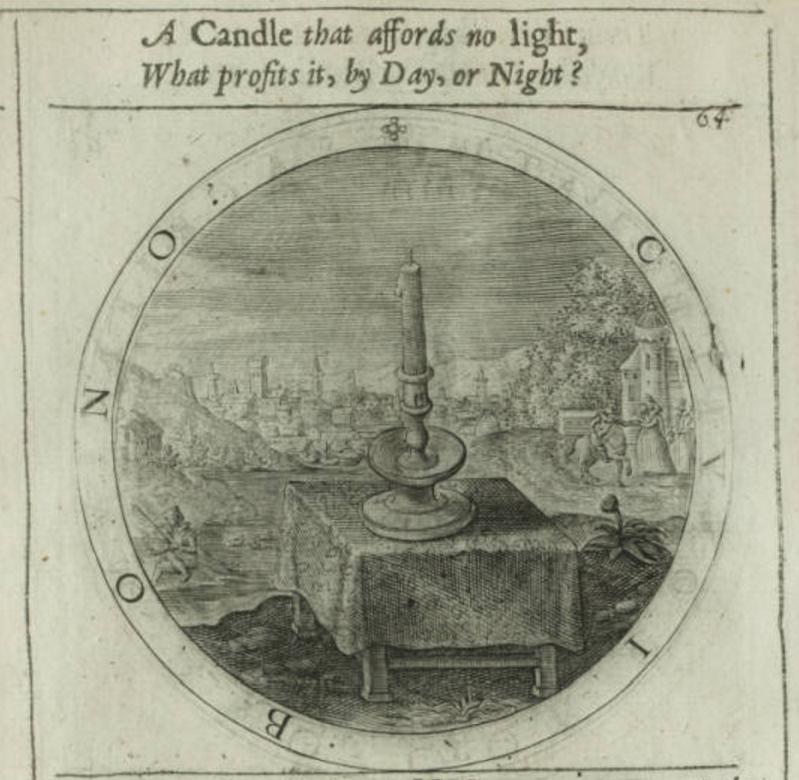 Francis Quarles, Quarles Emblemes 035_ pgs 068-069, Emblems, divine and moral, together with Hieroglyphicks of the life of man (London: 1635), Sig. 53, Pennsylvania State University Libraries. Indeed, R. B. Graves suggests that indoor artificial stage lights were in fact used ‘to indicate darkness, not to increase the sense of brightness in the play or the theater’. Modern practitioners have often interpreted this with actors entering holding up lanterns on an otherwise unlit stage, signifying attempts to light their way through the black of night. Certainly, for Jacobean tragedy, the stark contrast between small, flickering flame and the blackness beyond heighten the sense of isolation, vulnerability, and physical and psychological torment. Copyright: Pete Le May, Interior of Sam Wanamaker Playhouse (2014), photograph, The Globe Theatre, London. The Sam Wanamaker Playhouse is an ongoing project that attempts to recreate the early modern indoor playhouse, such as the Blackfriars model, developing theatre practices around it. Watching a production at the indoor theatre is a thrilling experience, not only due to the early modern design features and elaborate interior around which it was conceived, but also to the splendid artistic effects employed within performance. As a supporter of the endeavour since its inception, and observing the marvellous production runs rouse many a curious onlooker, it was an honour and a pleasure to be afforded the opportunity to work in the treasure trove that is the Globe’s library and archive, researching the appeal of indoor playing both today and four hundred years ago. The research internship concluded as the playhouse prepared to run its first indoor production of one of the most complex and sophisticated of revenge dramas, Webster’s The White Devil, a tale of corruption and hypocrisy, where the lighting configuration will undoubtedly complement the sinister plot.